PCGS eCollector | The OGH Label is Back! Which 2016 US Mint Release Excites You the Most? 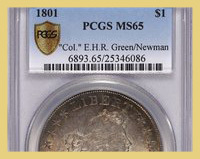 To mark the 30th anniversary of Professional Coin Grading Service on February 3, 2016, PCGS will offer a special "Old Green Holder" style label for coins submitted at the Long Beach Expo. 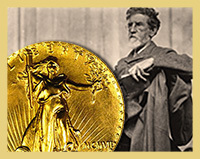 Born out of a shocking three-way battle between Teddy Roosevelt, the U.S. Mint’s chief engraver and one of America’s preeminent sculptors, the "Saint" has become one of the most popular and coveted U.S. coins among collectors and investors...and for three very good reasons. 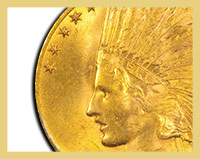 If Professional Coin Grading Service co-founder David Hall had listened to the advice of a business consultant three decades ago, there would be no PCGS. 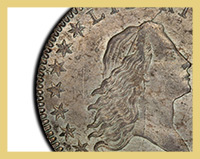 David Hall discusses this and other fascinating revelations about the founding of PCGS with Coin World. 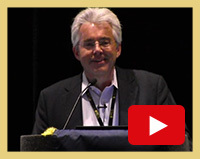 If you were not able to attend the FUN show earlier this month, you missed PCGS President Don Willis’ presentation at the Set Registry Luncheon. 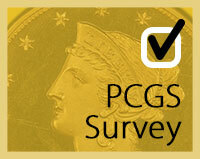 Here’s your chance to watch Don’s presentation and get the latest directly from the PCGS president. 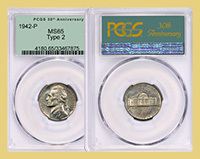 PCGS will again offer a special opportunity for our popular "crossover" service at the February Long Beach Expo. 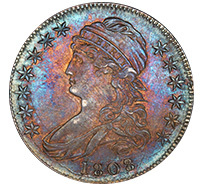 The usual crossover grading fee will be reduced to only $10 on coins submitted at the show that do not qualify to be placed into PCGS holders. Spectacular coins like this 1926 $10 PCGS MS64 lead the way with bidding in Legend Auctions’ February 18th Regency Auction XVI, now open for bidding. L&C Coins Which 2016 US Mint release excites you the most?